When I was little, some of my favorite toys were those that were so life like and realistic. I was envious of a friend who had a Teddy Ruxpin doll because it could talk to her and that seemed pretty magical. If you’re a child of the 80’s, you may remember Teddy Ruxpin, too. With the help of technology, toy manufacturers are able to do so much these days when it comes to interactive toys for kids. They’ve come a long way from using cassette tapes and black and white screens. Tablets and downloadable apps are so child friendly, making way for all sorts of ways to teach and entertain kids. My Friend Teddy by Genesis Toys is an interactive Teddy Bear that can talk to kids, play games, and tell stories. This toy gets its capabilities by connecting through Bluetooth to any iOS or Android device. Simply download the free My Friend Teddy app, fill in information about your child, and link Teddy to interact. My friend Teddy’s mouth is motorized and moves along with the bear’s speech. He can even speak three languages: English, Spanish and French. 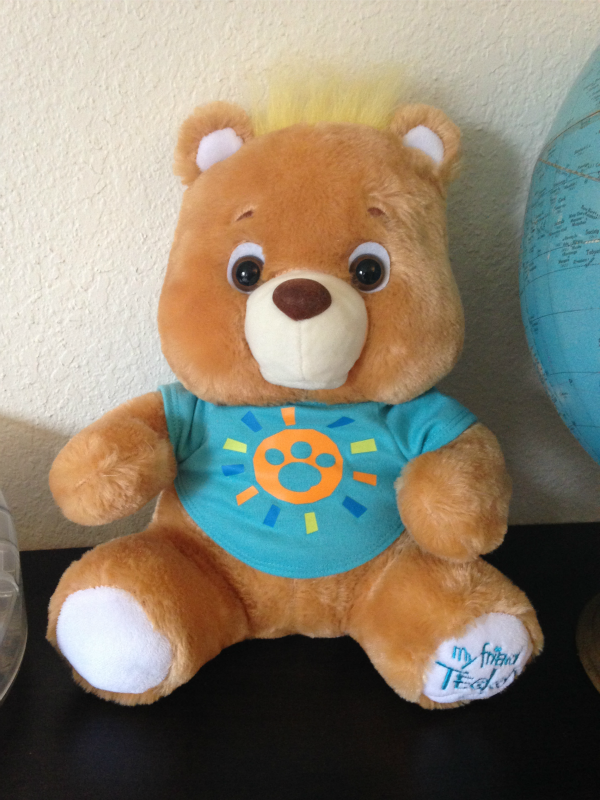 It is a soft, cuddly bear about 11 inches tall and is easy for kids to grasp and carry around. His little t-shirt is also machine washable. My Friend Teddy is truly an interactive bear. It is easy to program the app with information about your child he can then use during conversations. He can read books from the app, talk about your child’s favorite things, or play games among other things. My daughter was pretty tickled when she heard Teddy begin talking to her for the first time and actually use her name. Teddy even knows when you hug him or accidentally leave him upside down! As a parent, anything that connects to the Internet causes me to put my guard up quite a bit, but that is not the case with My Friend Teddy. Teddy is not connected to the Internet and works off-line. 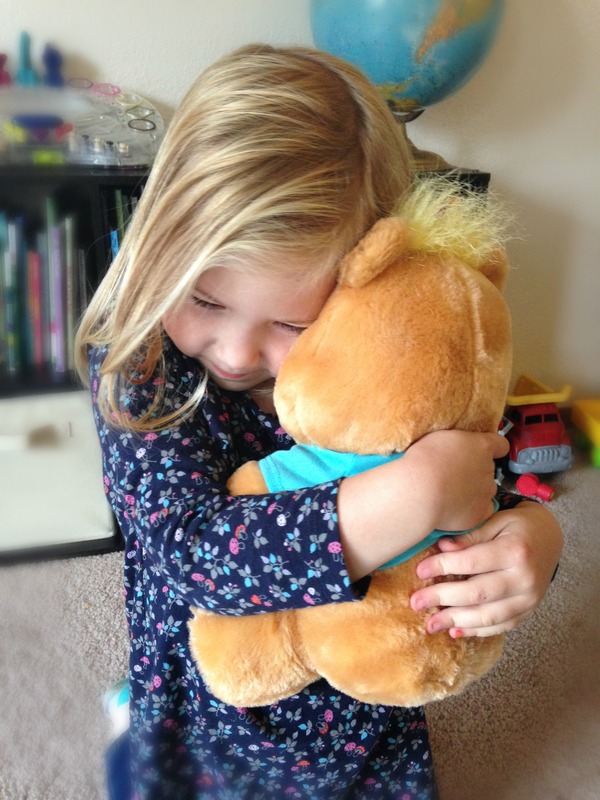 Special software called Violet helps keep this toy and its program safe for kids. Parents even have the option of blocking specific words they don’t want their children using. 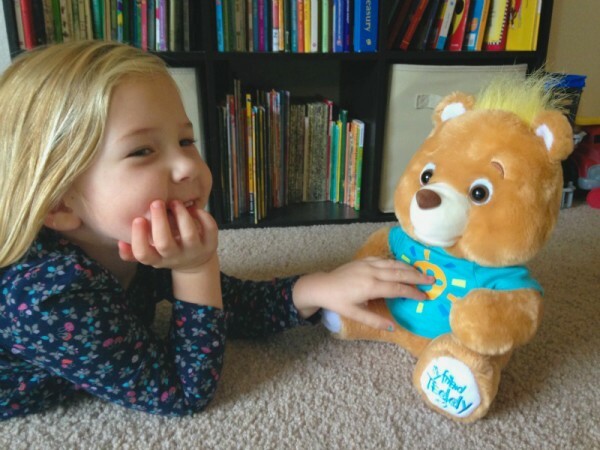 Initially, I though using the app along with My Friend Teddy would seem like a hassle, but when you see all the ways it helps with interaction and personalized conversation with your child, it’s really a cool and fun concept. I also really liked how the app lets parents set an age for their child, so games are appropriate towards their age level. This helps My Friend Teddy grow right along with your child. I can see this being a valuable toy for children to help with motor and language skills, or even a little confidence booster for a child who is shy and has a hard time carrying out conversations with others. My Friend Teddy currently retails for $39.93 and can be purchased at Walmart, Target, and Bed Bath & Beyond. It can be purchased in tan with a teal shirt, or pink with a pink shirt. 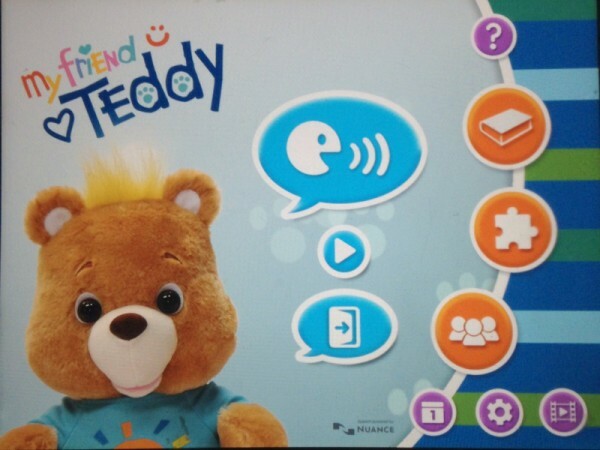 To see videos of My Friend Teddy in action or learn more about its programmable features, head over to www.myfriendteddy.com. Do you know a little one who would love My Friend Teddy? Tell us about them in the comments! How cute, the next generation of Teddy Ruxpin. My daughter had TR until he broke. Glad to see they have brought back an interactive teddy.